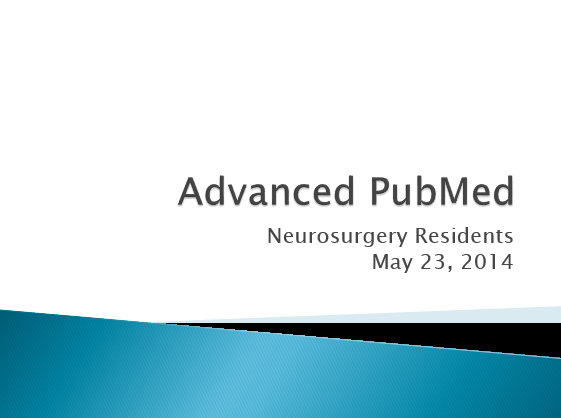 A presentation created for an instructional session with neurosurgical residents. 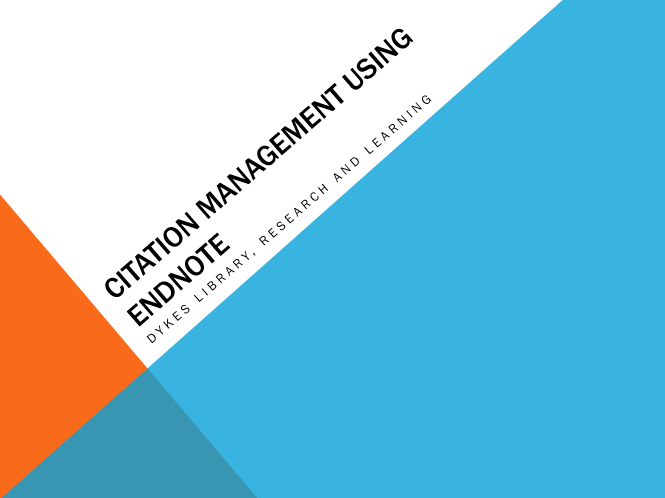 A presentation for the School of Health Professions on utilizing EndNote. This was done specifically for Respiratory Therapy students. 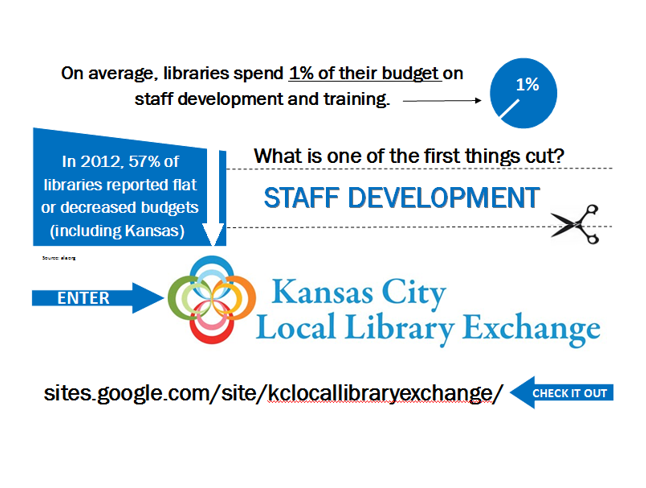 A quick presentation created for the Kansas City Local Library Exchange (KCLLE) program. A presentation created for the KUMC prematriculation program. The presentation was given alongside a PBL lecture and database overview. 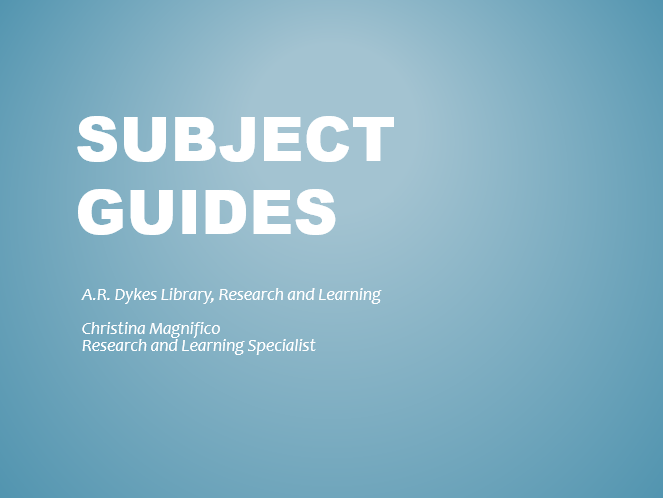 How to cite sources and why it is important presentation for MLS program. 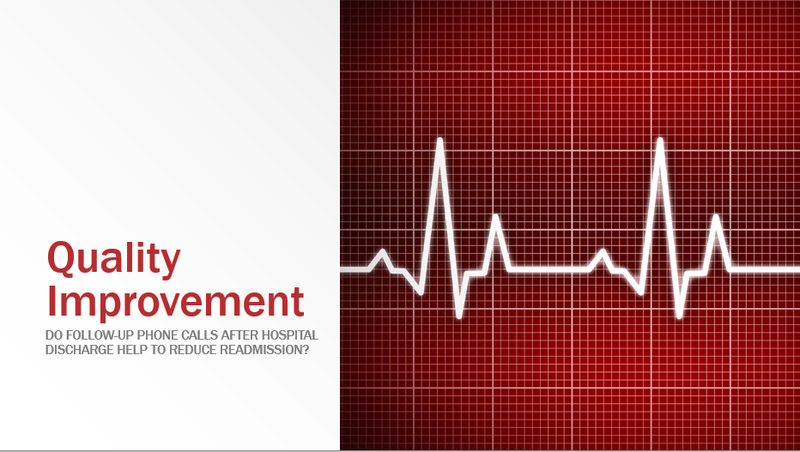 Later used for medical education presentation. Used for a professional presentation at the University of Missouri Columbia. 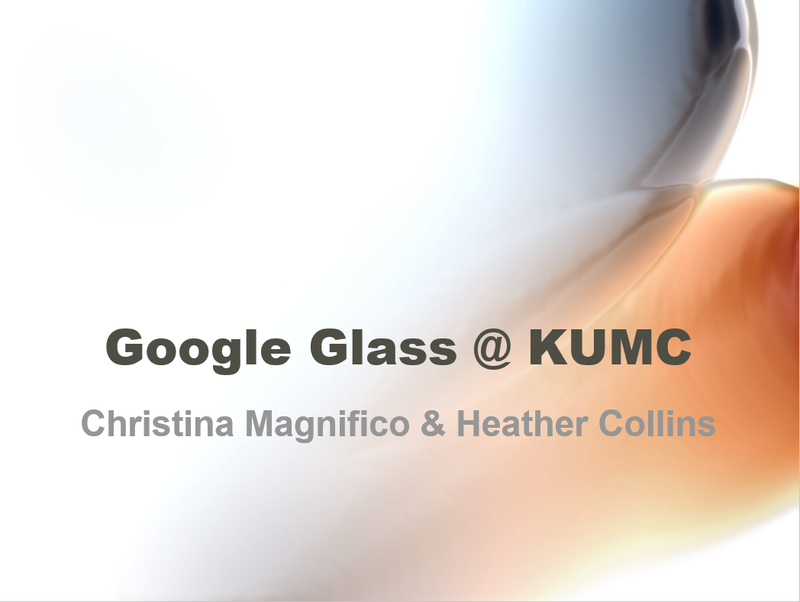 Google Glass presentation created for RML presentation. 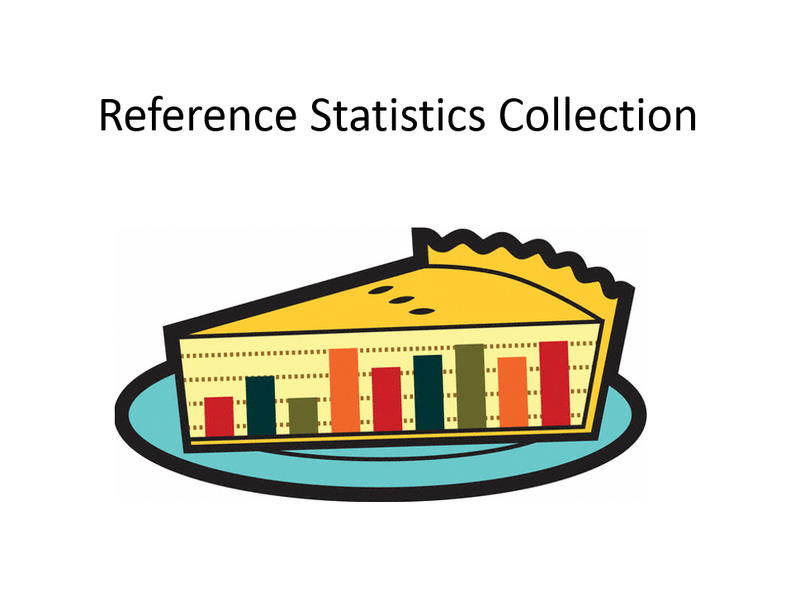 A brief presentation created to demonstrate the use of reference statistics for library staffing issues.